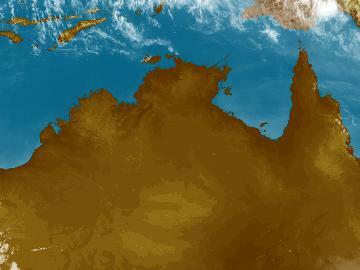 Cloud over Arnhem Land with a weak trough is triggering a few showers. High jetstream cloud moving over western parts is not producing any rain. Skies are clear to the south under a strong ridge of high pressure.